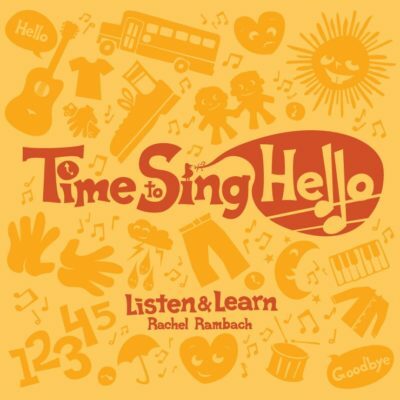 Download the lyrics, mp3 and instrumental track for “Makin’ Rhythm With Our Hands” adapted and recorded by Rachel Rambach, a board-certified music therapist and singer/songwriter. Read the product description below for more detailed information about how this song can be used to help children learn and grow. P.S. Before you purchase this album, consider joining Listen & Learn Plus to access the ENTIRE music collection (along with tons of other resources). Learn more here. One of the best ways to keep my students and clients engaged is to get them moving. Seated movement songs are especially effective, since it’s easy for them to get distracted when they’re on their feet. With that in mind, I adapted the familiar song “He’s Got the Whole World in His Hands” to facilitate all kinds of rhythm-producing hand motions. I have found that when I sing this song, my students and clients listen for directions, watch me so that they can imitate my movements, and then sing along since the lyrics are simple and repetitive. And that, my friends, is the trifecta I’m going for with just about every song!